Last year I reviewed Beckett Simonon’s Caine Oxford cap-toes and determined that they provided a decent value for the price, offering many high-end features (full-grain leather and goodyear welting) normally found on much more expensive shoes. 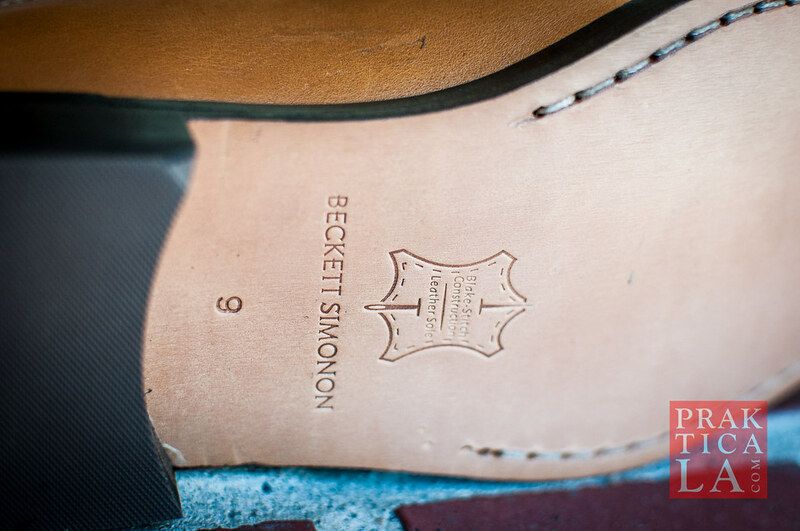 Beckett Simonon’s shoe lineup has since been updated. I was able to get my hands on a pair of their Cohen loafers to see some of the changes in person. 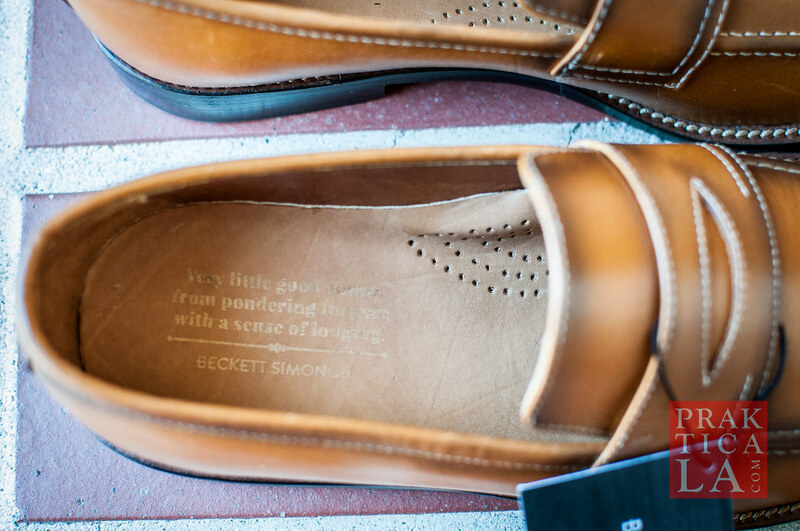 EDIT: Beckett Simonon is launching a somewhat new, pre-order based business model, so the Cohen loafers are no longer available. You can read about the relaunched business here, or visit here to see Beckett Simonon’s current lineup of products. Soon after I reviewed the Caine Oxfords, Beckett Simonon released a new line of shoes with supposedly higher quality leather, updated styles, and new Blake-stitched soles, replacing the Goodyear welts used on the original shoes. Blake construction, while still resoleable, skips the actual “welt” and attaches the outsole directly to the insole. This results in a lighter, more flexible, less bulky shoe, although probably a little less durable and waterproof. It’s also less labor-intensive to produce, lowering costs. As usual, Santiago was very helpful in getting me a pair from the new lineup. 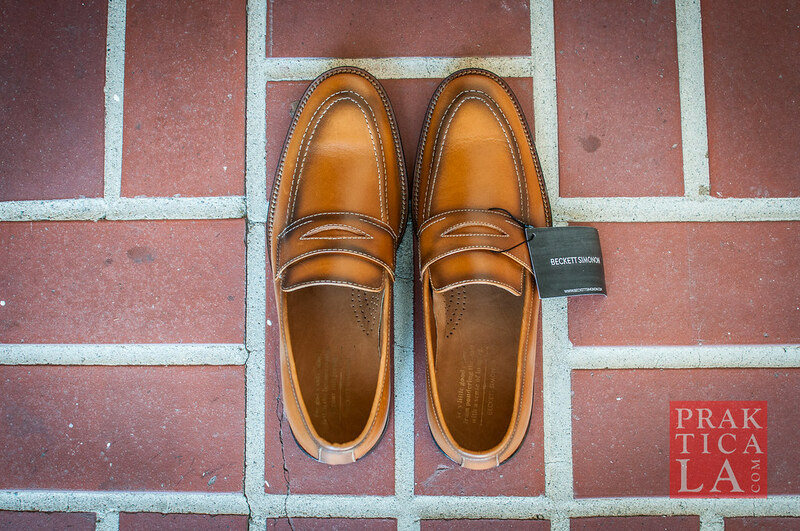 I didn’t have any loafers at the time, so I decided to get the tan Cohen penny loafers for some dressy-yet-casual action! Why should you wear loafers? 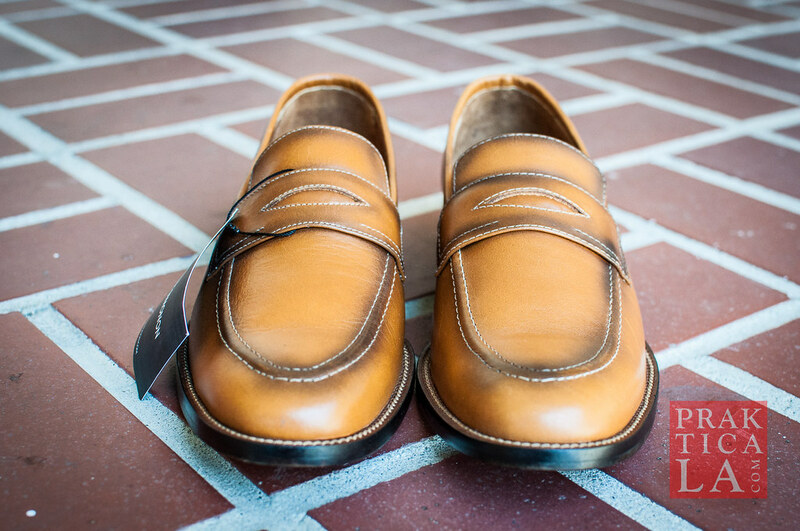 Well, first of all, as slip-on type shoes, loafers are fast and easy to put on and take off, without having to fuss with shoelaces. They are dressy enough to wear to work (but probably not to a business meeting or formal event – whether or not you think you can pull it off is your call). However, unlike oxfords or even the some less-formal derbies and brogues, loafers are also casual enough to be worn out on the weekend with a pair of jeans or even shorts! You can even go sockless and not look like a total douche! (Although you might look like a partial one.) 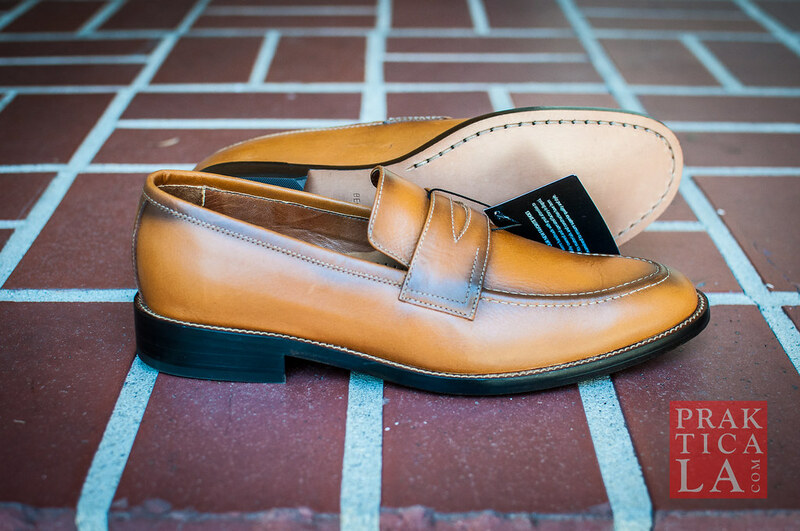 Of course, this also depends on the color of the loafers; black pairs will obviously be more formal than brown, tan, white, or any other color. Are you headed to the office or to the beach? I CAN’T TELL!!! Loafers come in many styles: there are driving mocs (not a fan since most people who wear them don’t actually use them to drive), loafers with buckles (fancy), loafers with tassels (super fancy), and finally penny loafers – probably the least egregiously in-your-face Yankee-Doodle-Dandy of all the slip-ons. Honestly, if you have tassels dangling from your shoes, you are probably either a) 80 years old, or b) starving for attention. Conversely, penny loafers are casual and unassuming. And don’t ask me why they are called penny loafers – I assume it has something to do with how people used to put a penny into the little slot on the shoe’s vamp. Anyway, the Cohen loafers indeed differ in quality from the Caine Oxfords I got last year. Starting with the packaging, the boxes are more compact, glossier, and black, instead of the “raw” cardboard used previously. While the old shoes came with two thin plastic dust bags, these new shoes came with one larger, more substantial bag with a bright red drawstring. A “thank you” card. Why, how nice! A notable omission is the blue, branded shoehorn, which came included my Caine Oxfords last time. A plastic shoehorn can’t cost more than a couple of bucks; they should have kept it in! The leather on the Cohen loafers is certainly different than before, although whether it is actually improved is probably a matter of taste. It is a little more “natural” looking; the surface has a nice “depth” that I described previously in my review of the Clarence cap-toe brogues by Charles Tyrwhitt. As for the finish, note that the tan Cohens look NOTHING like the stock photos from Beckett Simonon’s website. Whether this is good or bad is again entirely subjective. The tan leather is burnished along the seams, creating a darkening effect that I think is meant to give the shoes a “weathered” look. I wish the effect was a little more gradual and natural-looking; as it is, the “transitions” in color are seem rather abrupt. Maybe it’s the contrast stitching that exaggerates the difference in color, but the overall appearance reminds me of a solarizing filter in Photoshop. However, I have a feeling that as the shoes wear in over time, the finish will gradually become more subdued and natural-looking. I guess we’ll just have to wait and see. Note the prominent burnishing effect as well as the early signs of creasing. At least now they match my face. After the initial few days of wear, I noticed that they leather started to wrinkle and crease, much like the Caine Oxfords did. This is not necessarily a criticism, but an observation. 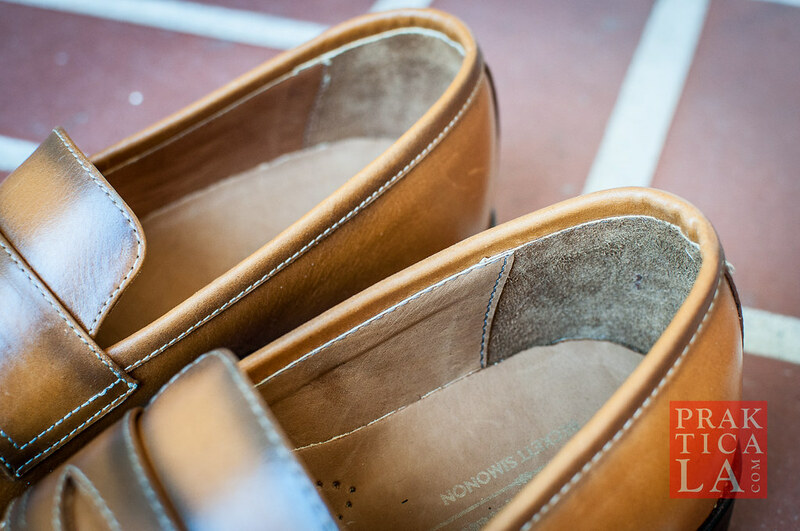 Since the shoes still use full-grain leather, they should age nicely, and with proper care, they shouldn’t ever crack or split. In contrast, the Carter boots I have from Jack Erwin, amazingly, still haven’t shown any signs of creasing (and also happen to weigh about 900 pounds). Sizing is still sort of confusing, since Beckett Simonon has changed their sizing structure at least once since last year. Last time I ordered a size 10, received shoes with a “9” stamped on them (presumably the European sizing), and they fit fine. With the new sizing, I ordered a 9.5, which were too big. Santiago assisted me in exchanging them for a 9, which fit much better. I am usually a 9 in dress shoes and a 10 or 10.5 in sneakers, so I suppose these are true to size. 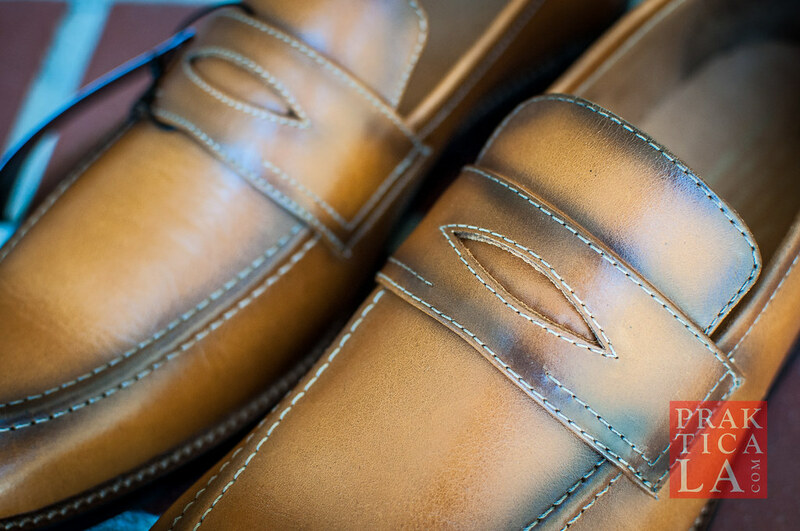 Other details and minor touches on the Cohen loafers are much improved over the previous generation. The (slightly) sloppy painting along the soles has been cleaned up considerably, and little things like the notched heel, missing from the original Caine Oxfords, have finally been included here, giving the new product an overall higher sense of polish than before. Cue the hipster quotes randomly printed on the insole! 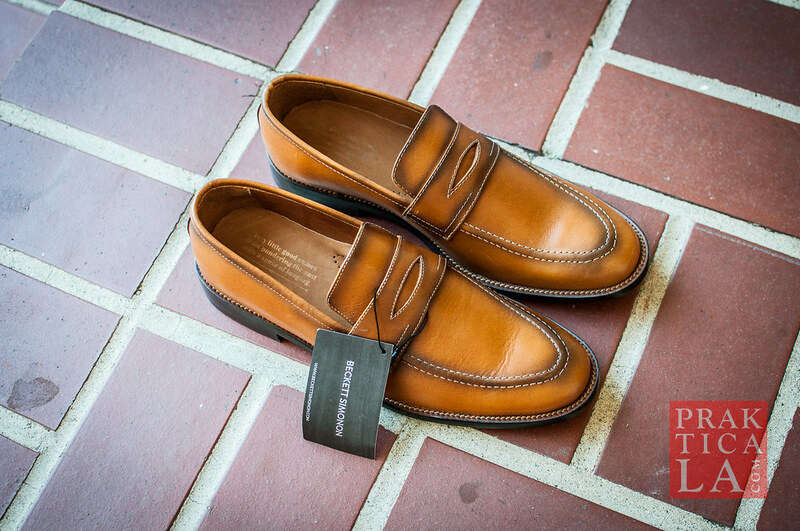 You can order the Cohen loafers in tan here. Also, the Caine Oxford has actually been updated as well with the “new” leather and Blake construction, available here. The rest of their current inventory is available here. One more thing. Beckett Simonon actually has ANOTHER line of “premium” shoes that is currently being funded on Kickstarter. Gosh, this probably means I will have to do yet another write-up. More on this in my next post. For now, drop a line if you have any comments! 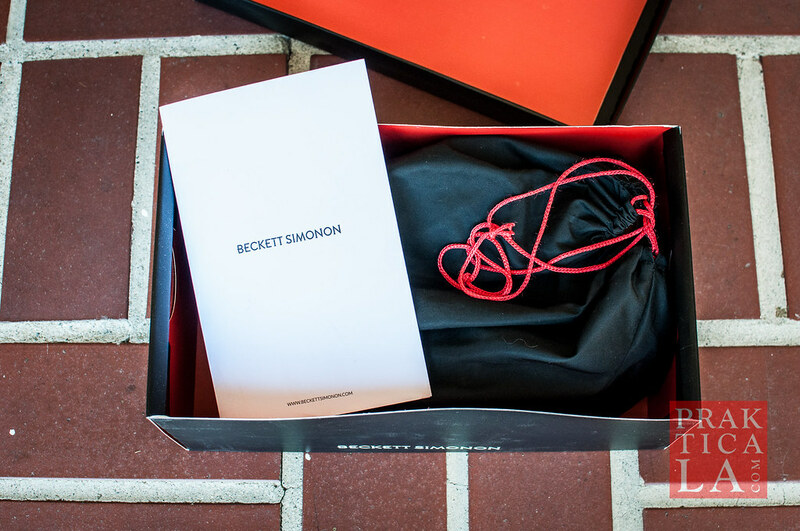 We’d love to hear your experience with Beckett Simonon if you have any. UPDATE (04/14/2016): My review for the new premium shoes is in! Check out my Beckett Simonon premium oxford brogue review here!